Geo.tv – Pakistan´s Mohammad Abbas celebrates the wicket of England´s Alastair Cook. Photo: Reuters LEEDS: Pakistan will take on England in the second and final test at Headingley today. 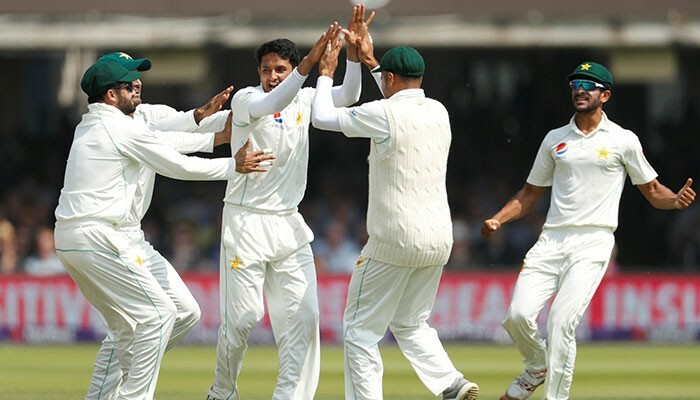 Need to put a strong performance: RootPakistan won the first Test by nine wickets at Lord’s inside four days on Sunday to go 1-0 up in a two-match series but Root believes the fact his team are back in action so soon will benefit them in Leeds.